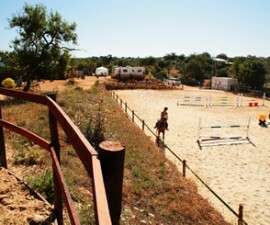 Albufeira is hands down one of the loveliest sites to explore, no matter if you are at sea or in land. The natural beauty offered by this resort destination in the Algarve is one of a kind and provides idyllic opportunities to discover its surroundings and enjoy scenic views. 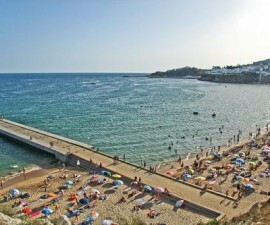 Holiday makers in search for an invigorating outdoor adventure are sure to have their needs and wishes met with Albufeira boat trips around the coastal backdrop. Due to its location and natural surroundings, Albufeira offers a set of different reasons to make boat trips, from fishing to dolphin watching, adding up to the most amazing vacation you could possibly have. Boat trips are also the perfect chance to enjoy some of the beautiful sunsets across the Albufeira coastline, and some of the companies even offer a complimentary cocktail to help you take up the most of your cruise. Depending, however, on the size of the boat, more options will be given for you to enjoy your ride, such as a deck or a seating area. It is quite easy to spot dolphins and bottle-nose dolphins on the coast of Albufeira. They usually travel in pods and ride alongside the boats travelling back and forth amidst the ocean and the rocky caves. The best thing about these tours is that you have the chance to enjoy a wonderful sightseeing cruise along the Algarve coast while spotting the playful dolphins and taking as many pictures as you can get with your family or group of friends by your side. This kind of Albufeira boat trips can last up to nearly three hours, depending on the tour company you are hiring and prices can range between € 20 and € 40. Fishing trips around Albufeira coastline always seem to be a great opportunity to spend the day relaxing and enjoying every little bit of the trip itself while catching fish. The stunning views are one-of-a-kind and you may also be in luck to spot a glimpse of dolphin pods. Fishing trips are always accompanied by crew members who are specialists in fishing and give out demonstrations on the techniques and advices regarding fishing and equipment handling. Whether you intend to catch big game or just-for-fun small fish, there is always an option for your needs and wishes. A fishing trip can last up to six hours and prices can go up to € 70 per adult and € 40 per child. Some fishing knowledge could be helpful to take the most from this experience, but not at all required, as crew members will give you instructions and assistance on how to fish. 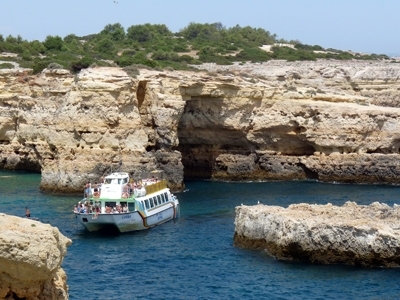 One of the best boat trips you can ever go in is definitely a cave and grotto sightseeing tour. Albufeira coastline is bustling with beautiful rocky caves that add up to a lovely journey at sea, which is made on a catamaran boat. Information on the caves and grottos are usually given before departure and during the boat trip, as well as a chance to explore other fishing villages and interesting spots on the coastline. Different shapes and sizes make up the beautiful rocky caves and cliffs and usually guests are invited to have a swim near the caves and explore its surroundings and azure waters. 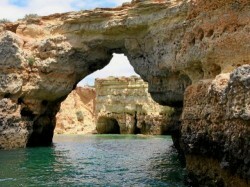 No matter your age, you will definitely have fun taking one of these Albufeira boat trips alongside the coast. There are also a number of secluded and private beaches located away from the mass tourism ones and only reachable by boat; some programs even offer you a BBQ party in several of those beaches for you and your family to enjoy before sailing off to land again. All crew professionals usually give out specifications and points of interest about the caves and grottos the boat passes by and people who are given the opportunity to book such boat trips are usually not disappointed.